Agnieszka Soltysik Monnet is Professor of American Literature and co-director of the MA Specialization Program in American Studies at the University of Lausanne in Switzerland. 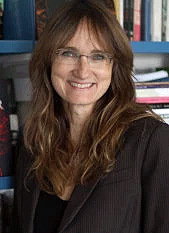 Her publications include The Poetics and Politics of the American Gothic: Gender and Slavery in Nineteenth Century American Literature (Ashgate, 2010), The Gothic in Contemporary Literature and Popular Culture (co-editor, Routledge, 2012), and most recently, War Gothic(co-edited with Steffen Hantke, Routledge, 2016), and Neoliberal Gothic: International Gothic in the Neoliberal Age (co-edited with Linnie Blake, MUP, 2017). She has also recently published articles on Edgar Allan Poe, feminism, queer theory, war adventure and melodrama, among other topics. 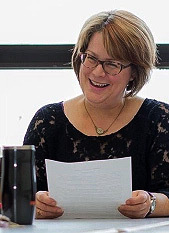 Karen Macfarlane is Associate Professor in the Department of English at Mount Saint Vincent University in Halifax Nova Scotia, Canada. She has published on monsters in popular culture at the turn of the 19th and 20th centuries, most notably, “Zombies and the Viral Web” (Horror Studies, 2018), “Here Be Monsters” (Text Matters 2016), “The Monstrous House of Gaga” (PopGoth, 2012), and “Mummy Knows Best” (Horror Studies, 2010). She has also published on contemporary politics and the Gothic, including “Market Value: American Horror Story’s Housing Crisis” (Neoliberal Gothic, 2017).